Exclusively Ours! Cadmium, Lead & Nickel Free!! 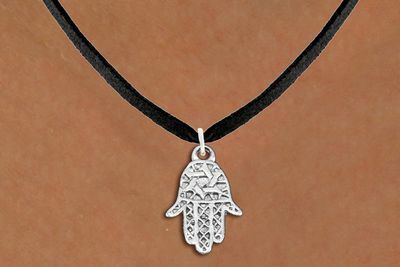 Small, Detailed Silver Tone "Hamsa" Charm Comes On A Necklace Style Of Your Choice: Ball Chain, Regular Chain, Snake Chain, Toggle Chain, Or Black Suede Leatherette. "The "Hamsa" is a sign of protection, and represents blessings, power and strength. It protects against the "Evil Eye" believed to cause illness, death and bad fortune. 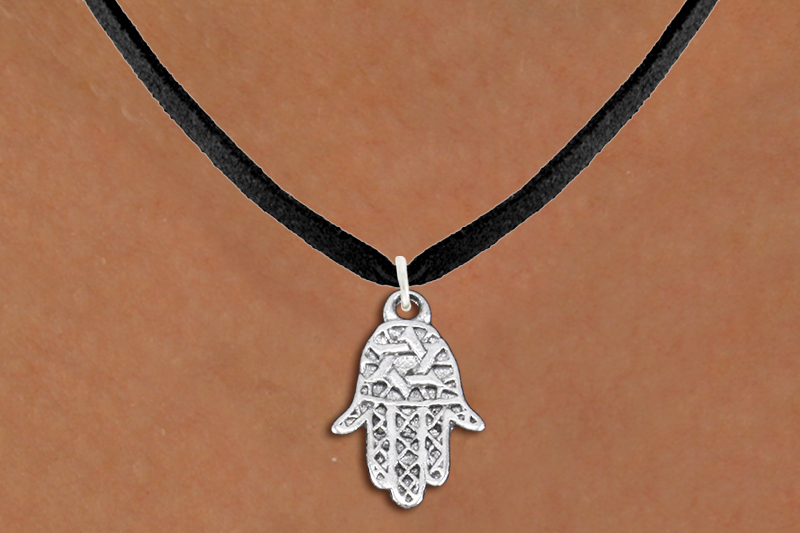 The Hamsa is a "Good Luck" charm for all who wear it, bringing good health, happiness and good fortune."